Indra Gandhi National Open University (IGNOU) is inviting applications for admission for July 2013 session in various courses including MBA. 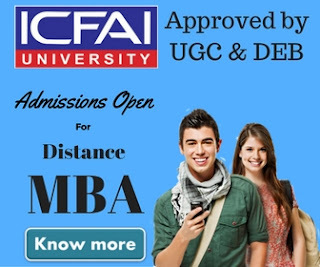 Although admission into distance learning MBA offered by IGNOU will be offered to those candidates who will successfully crack Open MAT conducted by IGNOU. 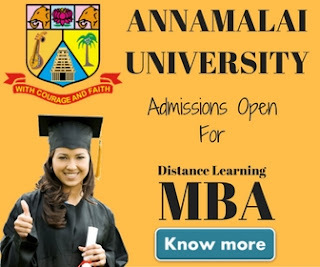 Those who has a valid score in popular MBA entrance exams like CAT, MAT or any state level apptitude test, are not required to take up this test. last date to apply for Open MAT XXXIV is July 15, 2013. Students wish to take admission into various academic programmes may obtain the prospectus from various regional centres on payment of Rs.200 or by sending a DD of Rs.250 in favor of IGNOU, payable at New Delhi. Application forms may be downloaded from IGNOU official website www.ignou.ac.in. The last date to submit the application form is June 15, 2013. As of now IGNOU is offering more than 490 Degree, Diploma, certification & Doctoral programmes. For more information about IGNOU July 2013 admissions, please visit IGNOU official website www.ignou.ac.in or contact your nearest regional center for admission procedure.